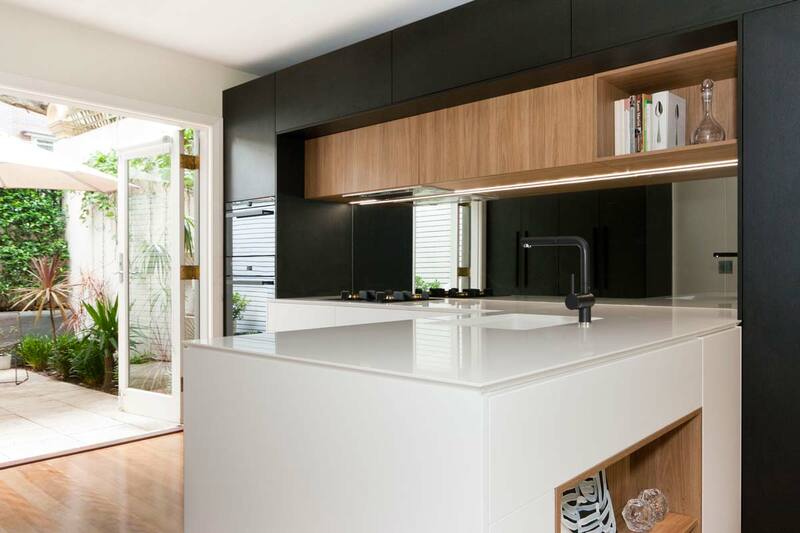 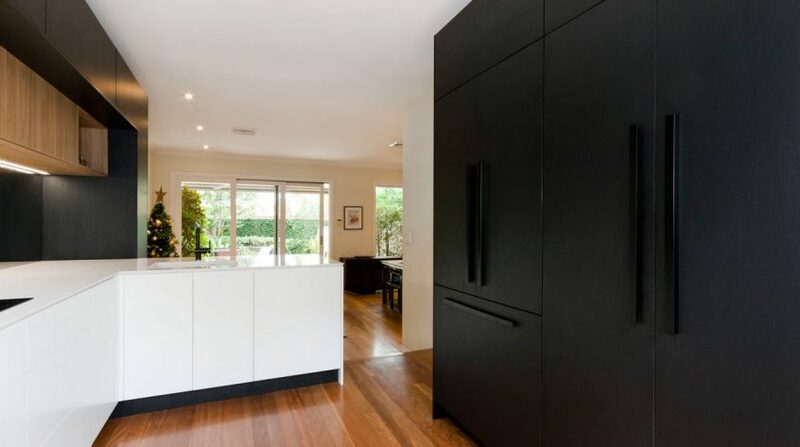 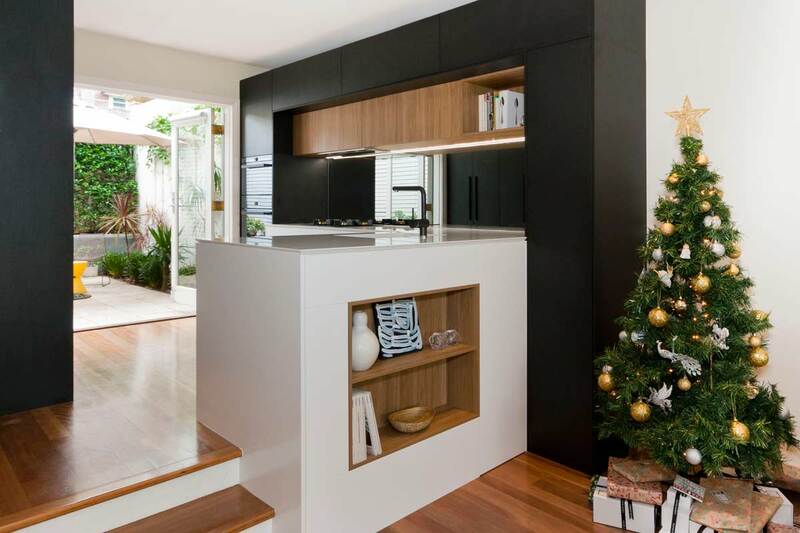 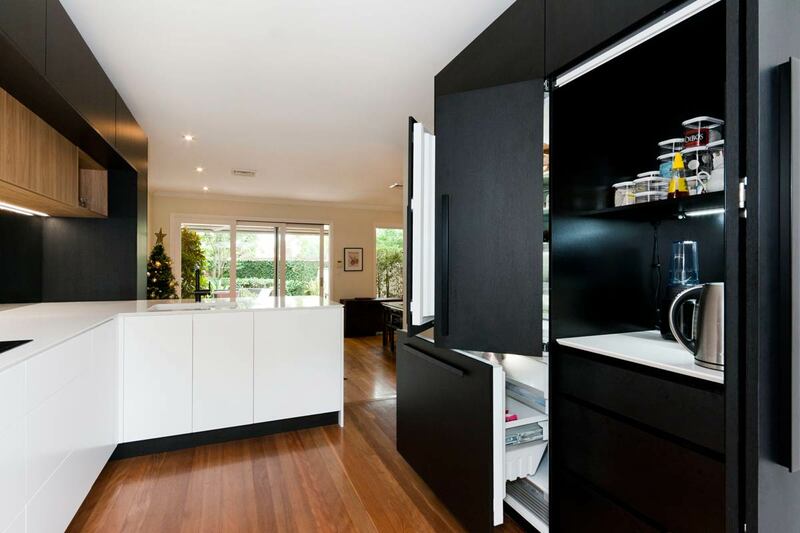 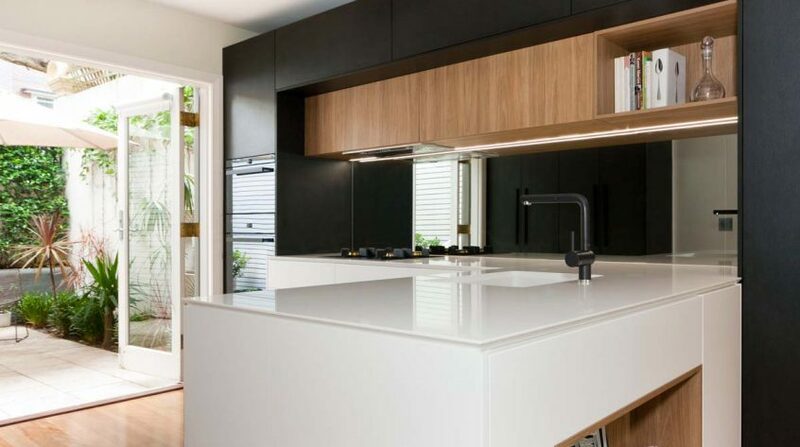 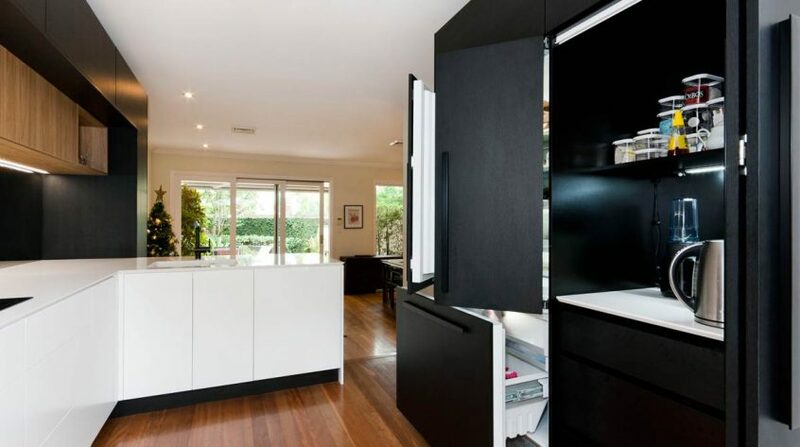 The use of high contrast cabinet materials in this Kirribilli kitchen give it a bold yet unassuming look, using colours that blend perfectly with the existing finishes of the home. 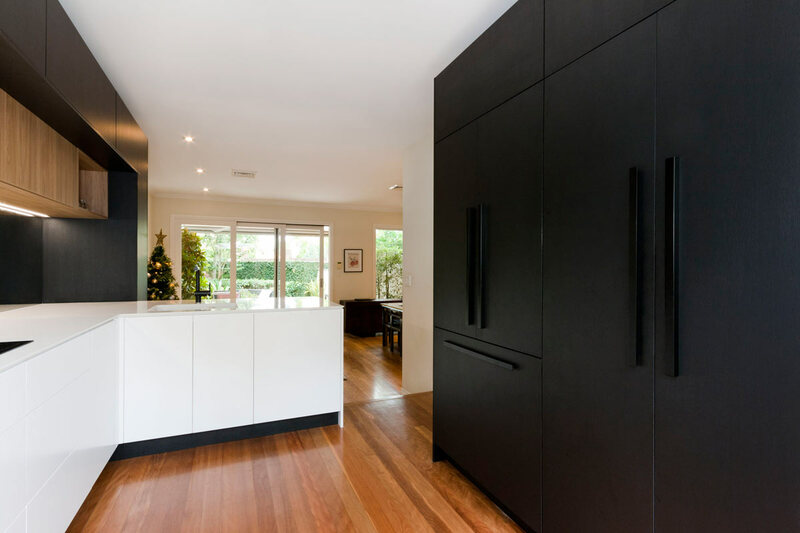 A beautifully seamless design with fully integrated appliances creates a clean, clutter-free work area, including sliding bi-fold doors to conceal small appliances such as kettle and toaster. 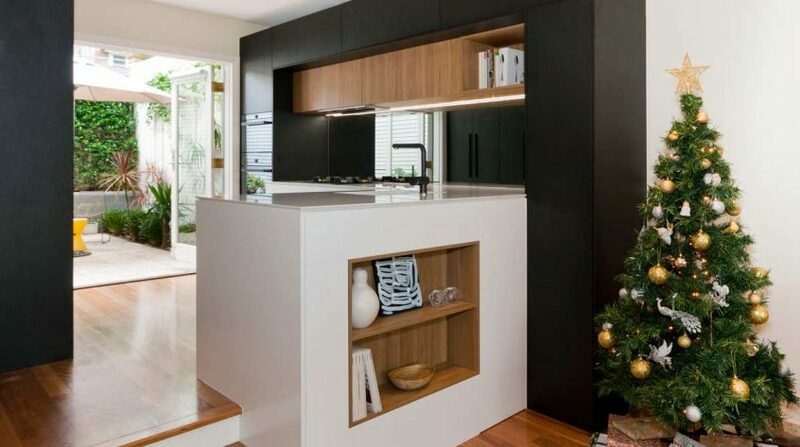 Open shelving as a final touch, allows for expression of the owners personal style, adding a subtle contrast of texture against the predominately sleek finish.